We all know Super Mario Bros. so much, that in fact this game gave me a lot of dejevu while playing. You run around and bop things on the head and progress solely to the right with no other direction in the game. Your goal is to at the end get to the flag and rescue the princess, who is usually in another castle. Yes, I said it, another castle. The only single deviation from this otherwise inspired game is the fact that your hero, who remains nameless, has the ability to rewind time. This has been done in other games, sure. However it was usually for only a couple of seconds and then you have to wait for the “power” or whatever gimmick it is to recharge. Braid offers you complete control over the stop, start and even pause of time – infinately. In fact, if you want to, you can rewind the entire level backwards if you want to redo it. In real time, with no loading. No THAT’S progress. 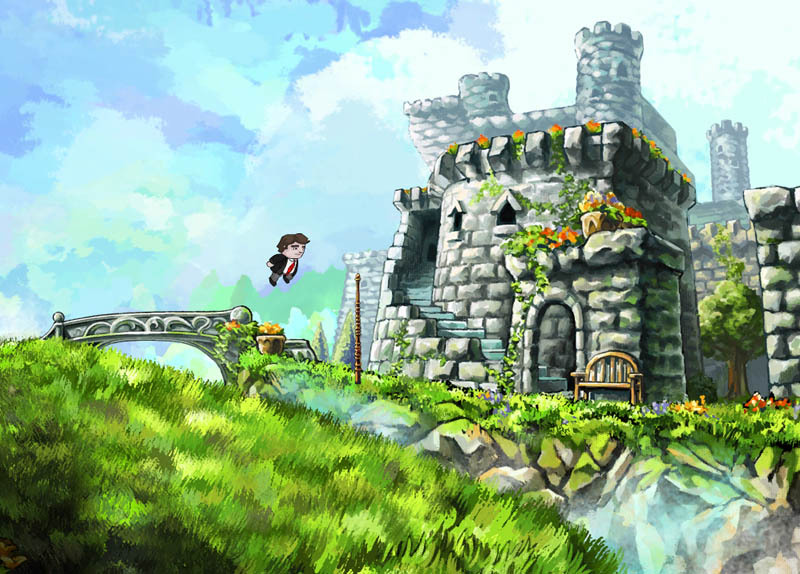 For $15 on the Xbox Live Arcade, Braid is my bargain game for the week. While I was searching through Sci-Fi videos this weekend via Netflix I came across something during my search that intrigued me enough to order it, wait two days and spend some time making popcorn beforehand. I am of course talking about The Fifth Element, a great (now classic) Sci-Fi movie with actor Bruce Willis and Milla Jovovich. This movie makes surprisingly good use of CG for the time it was made (1997). The plot is essentially that the five elements that protect the world are missing and they must be found and returned to a shrine in Egypt within 48 hours of the emergence of a darkness that will soon consume all. If you have a coulple of bucks and a couple of hours, go see this movie. Even if you don’t like Sci-fi I think you’ll find it entertaining. Let me preface this whole thing by saying: I’ve NEVER watched any movies twice except those in the Original Star Trek Series of movies and Joss Whedon’s Serenity. Perhaps that’s why it surprises myself that I cannot stop watching Dr. Horrible’s Sing-Along Blog since I originally downloaded it to iTunes. Like all Joss Whedon stuff, the material has it’s heart in the right place with an interesting premise. And like Serenity the writing is /excellent/. What really grabs me about this 42 minute production is that while it’s funny at moments, the characters are not necessarily interesting, but they are out-there enough and weird enough that you keep watching just to see what they’ll do. More so than that, the singing is actually REALLY good and it’s not just tacked on, it feels like a geeky musical, which is refreshing and welcome in today’s boring world of television. I’ve attached a preview below, if you like what you see CLICK HERE to see the entire 42 minute sing-along for free (legally). I cannot recommend this enough, I hope you enjoy it and for free, you can’t beat the price! Dark City is the pick this week for a few simple reasons. The main one is that this movie has hit the bargain bin with no fanfare and it’s a simply fantastic sci-fi adventure. Rufus Sewell and Kiefer Sutherland have never had better performances than they did in this movie. From the IMDB: A man struggles with memories of his past, including a wife he cannot remember, in a nightmarish world with no sun and run by beings with telekinetic powers who seek the souls of humans. Sounds cheezy, for the most part, it reminded me more of Blade Runner than any movie to date; it’s a good thing. If you’re like me, you like rock and metal, but you’re tired of all the same sounding tracks that most American bands face today. In response, I turn to a duet album featuring Jersey’s Russell Allen, and the storm-voiced Norwegian metal master Jorn Lande. 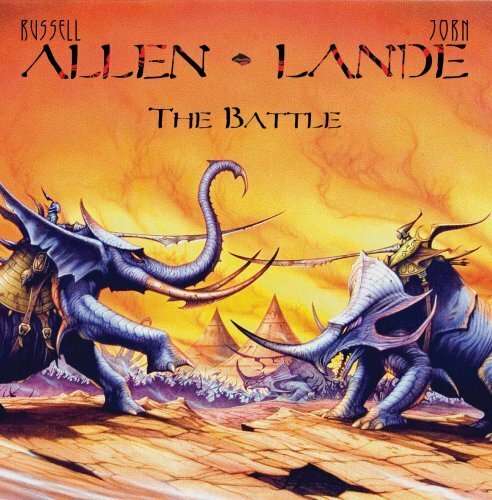 Unlike most traditional metal you might like, both Allen and Lande have a very methodical approach to the genre and many of their projects have been labeled “Power Metal” or “Melodic Metal” since shredding guitars take a backseat to their powerful voices and overlaying rhythms and sounds that rise above all the mediocre radio play you’ve ever heard. This may sound wild, fanboyish and sensationalist to any mainstream rock or metal listener that is reading this. I assure you that the production values and vocal quality demonstrated on this album are far above anything I’ve heard in today’s scene in the same genre. For only 7.99 available on iTunes or Amazon MP3, this is a great bargain and I can’t recommend the album enough. Ringworld is a science fiction book set in Larry Niven’s “Known Space” fictional universe. 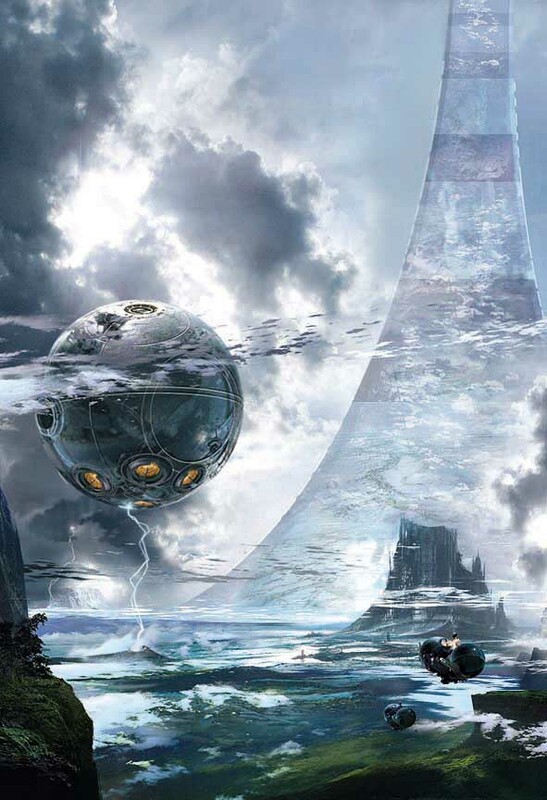 If you’ve ever played any of the Halo games by Bungie, then you’re already familiar with what the Ringworld looks like. The book series started in the early 1970’s with this book, the original “Ringworld” which quickly spanned out into a series. This, the first book in the series is easily Niven’s best entry as it has all the new things to discover without the boring revisits of the ring. Louis Wu is a bored 200+ year old human with nothing to do, all that quickly changes when he is abducted by a two headed monster named Nessus who whisks him off on a whirl-wind adventure to The Ringworld, a giant “halo” orbiting a sun, spinning at 770 miles per second; fast enough for just under 1 Earth gravity. The premise is that the core of the Galaxy has exploded and the shock-wave will destroy all known species and civilization in about 20,000 years. Nessus’ species has developed a new kind of spacecraft that, if revealed to the other species, could save them from their apparent doom. However, the price is one trip to the Ringworld to lend expertise to his mission. While there Louis Wu, Nessus and his other captive explorers unearth the truth about who built the Ringworld, why, and struggle to get out alive from vicious plants and wild natives. From wild beard-men to sunflowers that shoot lasers, Ringworld is an exotic and exciting adventure for sci-fi fans to enjoy now and any time you need a good adventure. I highly recommend this book and for the price of less than a movie ticket, you can’t really go wrong. Pixar has always been known for it’s varied animated children’s films. From Toy Story to finding Nemo, these wildly successful films have been popular not only with children but with parents too. 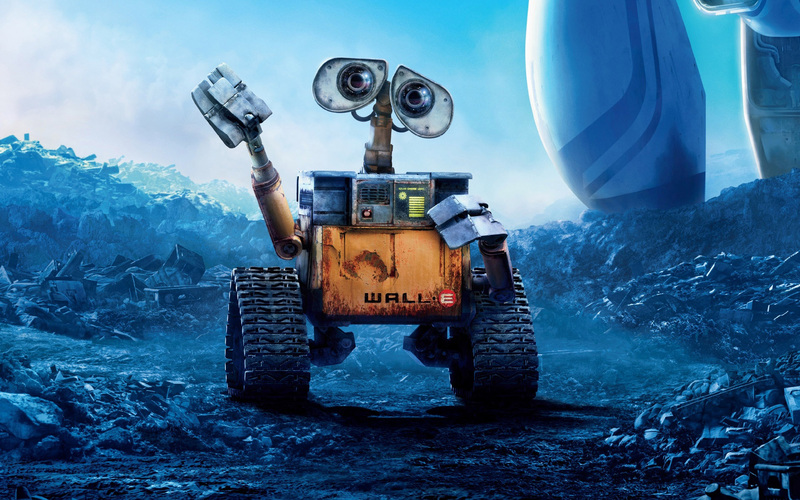 However WALL*E is something of a different Pixar film, it’s more of a lighthearted adventure for the parents, more than it is for the kids. In the same guise as the old black and white films akin to Charlie Chaplin, WALL*E manages to be funny without a single line of dialouge for more than half the film. Some people might not enjoy this, but then again some people still listen to viynl records instead of CDs. For me it was a fun refreshing experience to have a dialoge absent-film for once instead of a poorly written one; which seems like there have been ample supply. One thing to say about WALL*E is that all the empty space left for dialogue is prime for the little children in the theater to somehow sound louder than normal. This can be distracting since the only voice is robotic and synched and not based on an actual human’s voice. When WALL*E does speak, it is usually one line or one word so if you miss it due to loud children, you’re sunk for the entire joke. Thankfully the other end of the sword for having little dialogue is that if you do miss the spoken cue, if you’re paying attention you’ll catch the visual aspect of the joke and it will be just as funny. Some of the best jokes are hidden away in WALL*E, and you don’t need a list of easter eggs to find them either. One of the first jokes that any Apple fan will catch is the Macintosh boot-up fanfare when WALL*E finishes charging. I swear to God I was the only person in the theater who was laughing when I heard that. The other very prominent series of jokes is from 2001: A Space Odyssey and while I won’t spoil any of them for you, just be sure to be paying attention and you’ll get them. They are pretty well placed. The only issue I have with this fantastic film is that during the movie you’ll see live-action humans alongside cartoon-CG humans. I never understood the reasoning for having the two types of people, and it’s really jarring if you catch it. However, this little inconsistency is quickly overshadowed with well-placed story and humor. If you catch it, it’ll bother you; most people will never notice. With all that said, the $8 you pay for the matinee to see WALL*E is probably the best movie bargain you’ll be able to find right now. You won’t regret it, it’s a great children’s movie with tons of draw for the older audiences too.